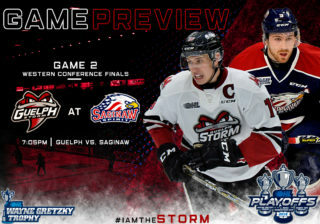 The Storm travel to Kitchener this Friday to take on their Highway 7 Rivals. 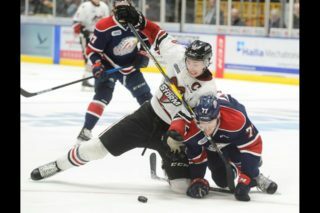 They continue on to Erie to battle the first place Otters Saturday night, before returning home to host the Kingston Frontenacs on Sunday. The puck drops at 6:30pm on Sunday. 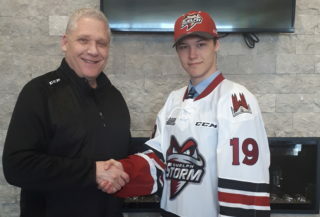 Tickets for Sunday’s tilt against Kingston are still available and can be purchased online by clicking here, visiting the Storm kiosk at Stone Road Mall or Box Office in the Old Quebec Street Mall. 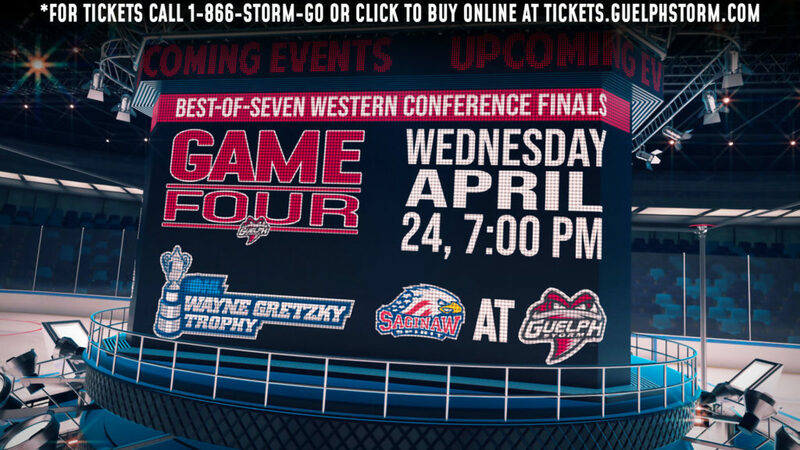 Tickets can also be purcahsed by phoning 519-837-9690.